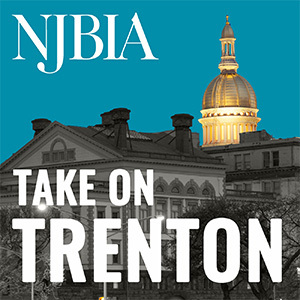 As an annual service to our members, NJBIA explains the changes in tax withholding rates and taxable wage bases that employers face in the year ahead. Employee and employer state Unemployment Insurance tax rates will apply to the first $33,700 of an employee’s earnings in 2018 (up from $33,500 in 2017). For 2018, employees are subject to a 0.0425% (.000425) Workforce Development Partnership Fund tax rate. The employee Unemployment Insurance tax rate remains at 0.3825% (.003825) of taxable payroll. Maximum taxable wages— $33,700 (up from $33,500). Employer tax rate for the state plan is based on each employer’s claims experience. Employee Family Leave Insurance tax rate—0.09% of taxable wages, down from 0.10% in 2017. Due to the actions taken in 2013 to stabilize the state Unemployment Insurance Fund and repay federal loans, New Jersey employers will pay a FUTA tax rate of 0.6% on the first $7,000 of an employee’s wages in 2018. The Social Security portion of the FICA tax that both employers and employees pay remains unchanged at 12.4% (6.2% each). The maximum amount of earnings subject to the Social Security payroll tax will increase to $128,400, up from the 2017 amount of $127,200. Most Americans will pay 2.9% Medicare FICA tax, which is split evenly between employees and employers (1.45% each). However, it should be noted that unlike the Social Security FICA tax, there is no limit on the amount of wages subject to the Medicare portion of the tax. The Affordable Care Act imposed an additional tax of 0.9% on the employee-paid portion of the Medicare FICA tax for high-wage earners. The threshold amounts are $250,000 for married taxpayers who file jointly, $125,000 for married taxpayers who file separately, and $200,000 for single and all other taxpayers. While the additional Medicare tax for these individual wage earner’s portion on compensation will rise to 2.35% (1.45% plus 0.9%), the employer-paid portion of the Medicare tax on these amounts remains at 1.45 %. Self-employed individuals are responsible for the entire FICA tax rate of 15.3 % on the first $128,400 of self-employment income. They are also responsible for the 2.9% Medicare FICA tax on income above $128,400, as well as the additional 0.9% Medicare tax established under the ACA if income meets the aforementioned “high wage earner” thresholds. NOTE: Employers are advised to check with the IRS regarding information on federal income tax withholdings. Information can be found at www.IRS.gov. Maximum benefit for benefit years commencing on or after January 1, 2018: $681 weekly (up from $677). Maximum benefit (state plan) for periods of disability commencing in 2018: $637 weekly (up from $633). Maximum benefit applicable to temporary disability, permanent disability, permanent partial disability, permanent total disability, and dependency benefits awarded for injuries suffered in 2018: $903 weekly (up from $896). If you need additional assistance, please contact Andrew Musick at amusick@njbia.org or 609-858-9512. Historically I print your “fast facts” and refer to it several times over the course of the year. It would be nice if there was a printable version. Thank you for providing this feature. We’ve installed a print/pdf icon at the bottom of these posts. You can now print or save a pdf directly from the webpage. Any printable version of 2018 tax changes? Thank you! “Employee and employer state Unemployment Insurance tax rates will apply to the first $33,700 of an employee’s earnings”. For my company, employer SUI is being calculated on total employee’s earnings not just the first 33k. Employee SUI though is calculated on just 33k. Are both employer and employee SUI and SDI applied to only the first 33k of employee’s salary? Is this true for prior years as well, 2017, 2016 etc. ?